People today begin planning for the future early, which means that retirement benefits could be a factor for young couples going through a divorce. For older adults and those who have been married for decades, you may have counted on these benefits to maintain your standard of living, both now and in the years to come. In either situation, it is important to consider retirement funds in marital property division proceedings and before accepting any settlements in your divorce case. Money in savings, investments, or CDs, earmarked for retirement expenses. All marital property is to be listed in financial disclosures and divided equitably in a divorce. 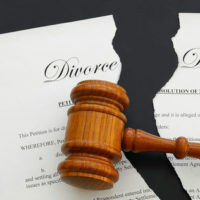 This means that rather than splitting everything 50/50 between you and your spouse, the judge will consider circumstances such as each party’s income and earning potential, the contributions they made during the marriage, and whether one made career or educational sacrifices on behalf of the other or for the sake of raising children. If your spouse engaged in some type of marital misconduct, such as if they cheated or had a gambling addiction, you could be entitled to a greater share to compensate for what they gave away, lost, or otherwise wasted. This would apply to retirement benefits as well. You will need to be careful on how you take payment of retirement funds to avoid Internal Revenue (IRS) penalties and you will need a Qualified Domestic Relations Order to present to the plan administrator. You are currently entitled to either social security or disability benefits. Getting the total amount you are entitled to in a divorce settlement plays a major role in ensuring your future financial security. To discuss your rights in terms of property division, contact our Fort Lauderdale divorce attorney and request a consultation at the law firm of attorney Vanessa L. Prieto today.